We eat every day few times a day. 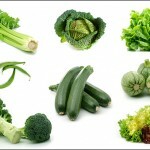 Our body is forced to “process” and detoxify food which we selected. Do you know how correctly choose the right food which can protect from several diseases including cancer? 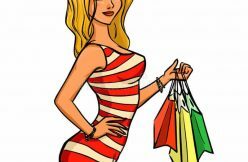 Are you sure your eating habits are healthy? 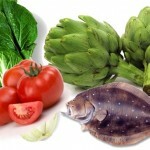 Do you know that some food can provoke cancer development? What you know about cancer fighting foods? Everybody knows that the best healthy diet is rich in plant-based foods (vegetables, fruits, whole grains), full of omega-3 fats (salmon, sardines, flax seeds) and exclude sugar, processed food and saturated fat. 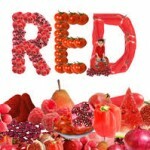 But only few people know about cancer fighting foods and anticancer food strategy. Cultivating the right kind of eating actually changes your “internal terrain” and makes it inhospitable to cancer, say experts at the Block Integrative Cancer Center. 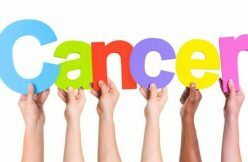 Scientists noted that certain foods may be particularly useful in protecting you from cancer and they strongly recommend switching to healthy anticancer diet which can reduce your risk of cancer. 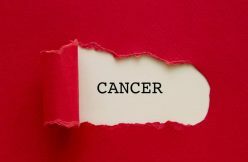 No one food offers a golden ticket to fighting cancer, but a smart combination of “cancer-blocking” foods offers the strongest protection and contributes to overall health. 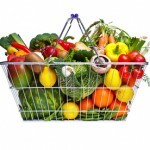 Anticancer diet is an important strategy you can use to reduce your risk of cancer. The American Cancer Society recommends, for example, that you eat at least five servings of fruits and vegetables daily and eat the right amount of food to stay at a healthy weight. In addition, Make room in your diet for the following foods and drinks to fight cancer. Medical experts noted that people who eat fish more often have a 12% lower risk of developing colorectal cancer. 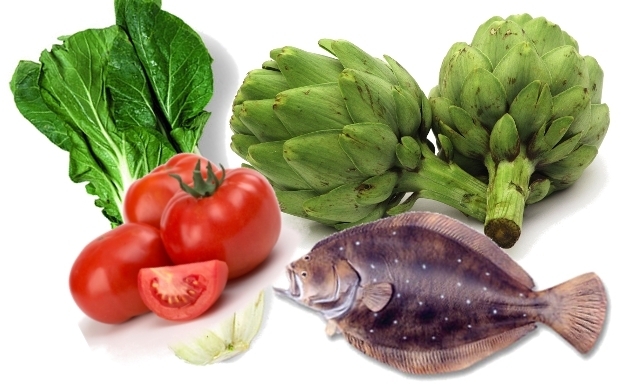 Eating higher amounts of fish and poultry (less processed meat) is also linked with reduced risk of ovarian cancer. In general fish is a healthy choice for cancer fighting diet – its omega-3 fatty acids are playing a crucial role in reducing inflammation in the body. Medical experts confirm links between variety of cancers and chronic inflammation. At the same time, some scientists suggest also that omega-3 fatty acids restrict tumor cell growth and could possibly cause cancer cells suicide (cells self-destruction). So called “cruciferous vegetables” (broccoli, cabbage, cauliflower) could be particularly helpful in protecting from cancer. 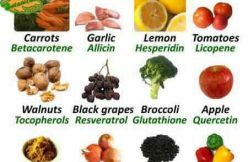 Each of these veggies are rich in isothiocyanates and indoles, compounds that put the double pressure on cancer by inhibiting enzymes that activate carcinogens and stimulating enzymes that deactivate them. 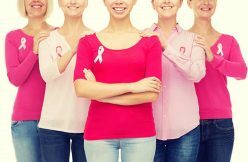 “No other group of foods has more scientific support for helping to prevent breast cancer,” says Jackie Glew, RD, Lead Clinical Nutritional Manager at the Block Center for Integrative Cancer Care in Skokie, Illinois. Garlic has anticancer properties – it contains immune-supporting allium compounds that support the body in fighting cancer cells and its phytochemicals have been found to halt the formation of nitrosamines, carcinogens formed in the stomach. Scientific studies have found that people who eat more garlic are less likely to develop various kinds of cancer, especially in digestive organs such as the esophagus, stomach, and colon. Animal research suggests the long list of cancer-protective compounds found in the allium family may slow the development of breast, colon, esophagus, and lung cancer, too. The common question is – how much garlic should be eaten for fighting cancer? Experts don’t know how much you need to eat to prevent cancer, but a clove a day could be not only useful but also helpful. 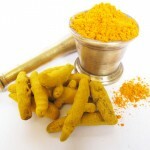 Turmeric is an Indian spice which was used for centuries in ancient medicine. 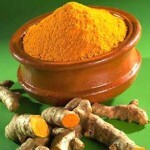 Recent scientific studies show that turmeric can inhibit the growth and expansion of tumors. 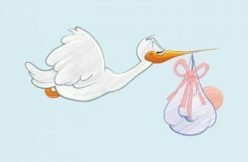 It can inhibit the inflammation inducing production of the enzyme “cyclo-oxygenase 2” which leads to cancers such as bowel and colon cancer. Turmerik’s most powerful anticancer ingredient called “curcumin” (commercial name – “curcuma”) is the most popular anticancer spice used by millions of cancer survivors. According to the American Cancer Society, curcumin can inhibit some kinds of cancer cells in laboratory studies and slow the spread of cancer or shrink tumors in some animals. Anticancer function of the green tea is based on its antioxidants known as catechins which can prevent cancer cells from multiplying. A study in the Journal of Cellular Biochemistry showed that these types of catechins protect against a variety of cancers. Green tea’s antioxidants could help prevent cancer in a variety of ways, including keeping free radicals from damaging cells. Laboratory studies have found that catechins in tea (antioxidants) can shrink tumors and reduce tumor cell growth. Some studies in humans also demonstrated anticancer functions of green tea. Scientists linked drinking tea to a lower risk of cancer. One-two cups of green tea per day could be considered as a good anticancer strategy. The skin of red grapes is a particularly rich source of an antioxidant called “resveratrol” which was also found in grape juice and red wine. According to the National Cancer Institute, resveratrol may be useful in keeping cancer from beginning or spreading. Lab studies have found that it limits the growth of many kinds of cancer cells. In men, moderate amounts of red wine have been linked to a lower risk of prostate cancer. As grapes may stop cancer cells, better include red grapes in your daily diet. Low in saturated fat, walnuts and flax seeds are already a good addition to any healthy. Eating small amounts of walnuts can cut the risk of breast cancer in half – the phytoesterols found in walnuts have been linked with the blocking of estrogen receptors in breast cancer cells, possibly slowing the cells’ growth. Scientists reported also the important role of walnuts and flaxseeds in blocking colorectal cancers. As for flaxseeds, these have cancer-fighting potential due to their fiber, omega-3 fats, and lignans (beneficial plant compound). Avacados are known as a great cancer fighting foods, rich in a multiplicity of nutrients, including antioxidants and phytochemicals as well as vitamins, minerals, fiber and monounsaturated healthy fats. Phytochemicals (plant chemicals) are defined as bioactive non-nutrient plant compounds that have been linked to reducing the risk of major chronic diseases including cancer. Adding an avocado to your diet several times each week will provide a wide variety of nutrients that show compelling cancer fighting properties. Berries contain particularly powerful antioxidants which may help keep cancers from growing or spreading. Berries are also a good sources of Vitamin C and fiber which help to protect against esophogeal and colorectal cancers. Strawberries and raspberries carry high levels of ellagic acid and research suggest this compound tackles cancer on a couple of different fronts, slowing reproduction of cancer cells, deactivating some carcinogens, and acting as an antioxidant. Recent research has shown that blueberries contain compounds that cause cancer cells in the liver to self destruct. While all berries contain cancer fighting phytochemicals acai, raspberries, cranberries and blueberries are especially powerful. Black raspberries contain a significant amount of a phytochemical called anthocyanins which stunt the growth of cancer cells. Tomatoes contain a particularly high concentration of an effective antioxidant called lycopene which is a cartenoid that helps give tomatoes a red color. The juicy red tomatoes can help guard the DNA in body cells from damage that can lead to cancer. Scientists noted that lycopene can stop endometrial cancer cell growth. Some research has found that eating tomatoes may help protect men from prostate cancer. The biggest benefits come from cooked tomatoes (think pasta sauce! ), since the heating process increases the amount of lycopene your body is able to absorb. Beans are chock full of cancer fighting potential – top on the list is vitamin B that reduces the risk of pancreatic cancer. Resistant starch and fiber are two more potential weapons, something gut bacteria use to produce compounds that protect colon cells. Medical experts noted that people who routinely include beans, lentils, and dried peas at meals have a reduced risk of breast and prostate cancer. Researchers from Michigan State University found that black and navy beans significantly reduced colon cancer incidence in rats, in part because a diet rich in the legumes increased levels of the fatty acid butyrate, which in high concentrations has protective effects against cancer growth.